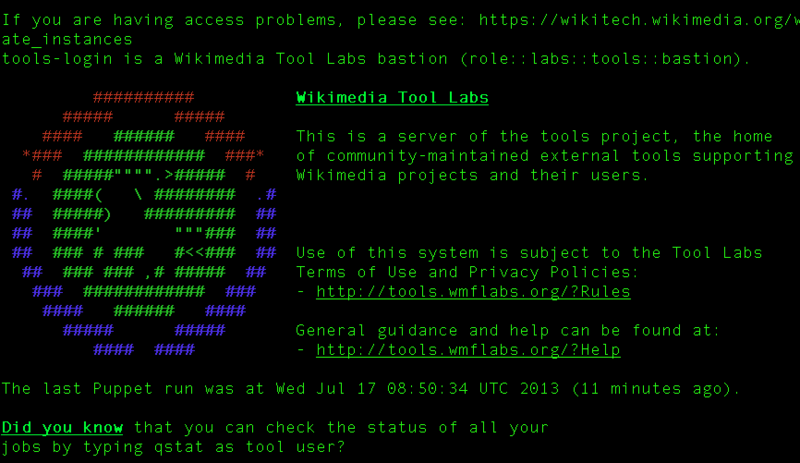 wikimedia tool setup is very tedious work but #wikimedia-labs helps a lot. After creating an account and being approved by admin. You will log in to your tool using this command. In the first step you have to find you username and password by using “” file.